We've added voice recognition! 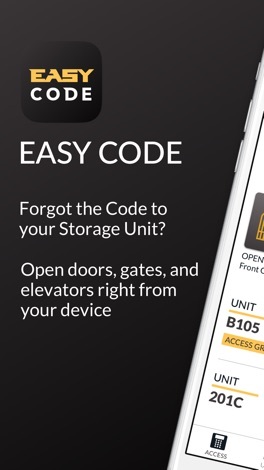 Say "EasyCode Open" and the device name to trigger the device. Note that use of this feature may cause Apple CarPlay to disconnect while the app is in use. Voice recognition can be turned on or off in the settings menu. Requires allowing microphone permissions. 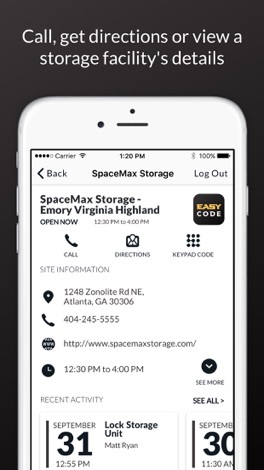 Fixed directions button for sites so it actually shows directions to selected facility and not just current location of user. Fixed Bluetooth beacon scanning when device has multiple sites set up on it. Fixed keypad availability when device has multiple sites set up on it. Fixed site open / close status when device has multiple sites set up on it. 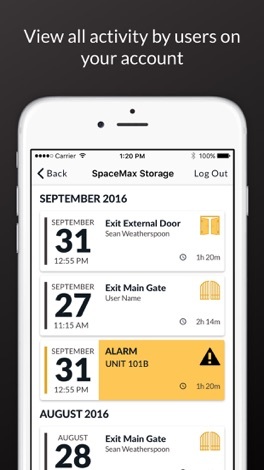 EasyCode is a mobile app for self storage facilities that interfaces with PTI's access control solution to provide mobile gate entry and key monitoring features to renters. 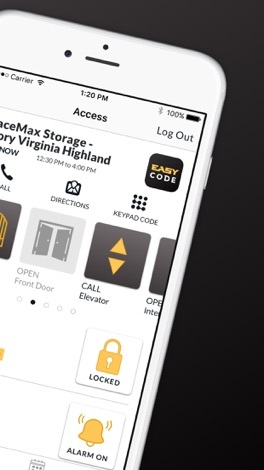 EasyCode takes away the hassle of remembering passwords by enabling a simple touch interface to open gates and doors at the storage facility. 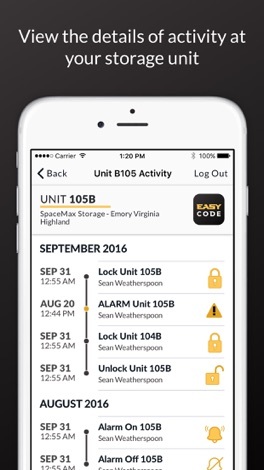 Plus, users can view their access history, get notifications when their unit alarms is triggered and view access activity at their unit.